Botanically, orange is a citrus fruit that belongs to the family Rutaceae of the genus citrus (which includes: pomelo, mandarin orange and grapefruit). The scientific name of the orange is Citrus sinensis. Oranges are originated from Asia, from where they are widespread over the world. Orange is tropical to subtropical, green tree growing in height from 5 to 8 meters. It gives fruits that have diameter of approximately 8 inches and weighing 100 to 150 grams every year. Oranges are classified into two categories: sweet and bitter. 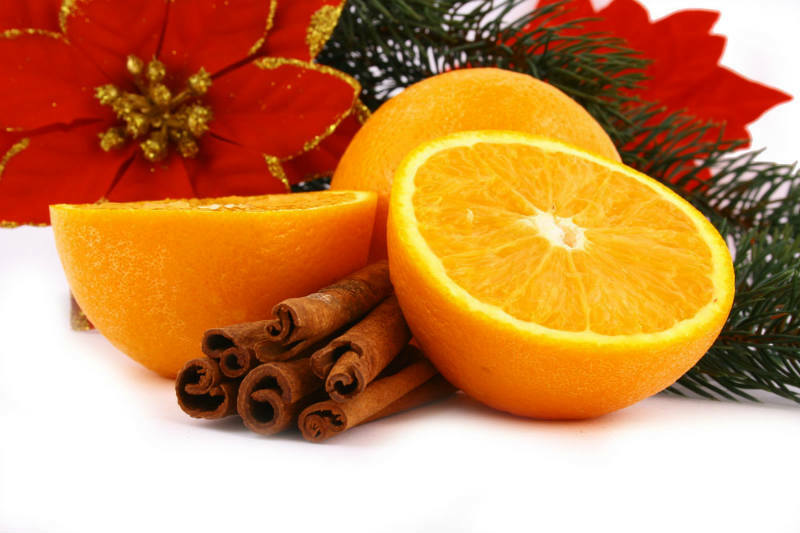 Once oranges were very expensive and people have consumed them just for the Christmas dinner. Today, fortunately, due to the orange fruit benefits, oranges are widespread. The orange fruit benefits have been known since Ancient time. Orange is known as curative fruit from the old days, and in Ancient Greece was called the God of fruits. More than a hundred varieties of orange are used in the world. U.S. is the biggest producer of oranges in the world. Orange is considered as one of the most healing fruits in the world and the most popular type of oranges are the red and the orange. The orange fruit benefits as well as the healing properties of the orange are so broad that voluminous book can be written. It is created for the winter, because they have power to perform detoxification of the body from toxins and to protect against colds. Boosts your immunity – A single orange can meet more than 100% of your daily requirement of Vitamin C. This vital nutrient helps improve your immunity, keeping you free from diseases and infections. Therefore, the orange fruit benefits for the immunity system are huge. Good for your skin – As we grow older, our skin along with other body parts suffers from free radical damage. This process is similar to how metals rust after exposure to air. Even though it is inevitable, oranges are packed with antioxidants and Vitamin C which slows down the process and makes you look younger than your age! Besides oranges, you can eat these fruits and vegetables for glowing skin! Great for your eyes – Along with our skin, our eyes too suffer from damage as we grow older. Oranges are rich in nutrients like Vitamin A, Vitamin C and potassium which are great for your eyes. So, if you want your vision to be just as good as it is now, eat an orange every day! Prevents heart disease – One of the reasons why people get heart disease is because their arteries are blocked due to unhealthy lifestyles and consumption of junk food. Oranges have flavonoids like hesperidin which reduces cholesterol and prevents your arteries from getting blocked. This, in turn protects you from heart attack and various other cardiovascular diseases. Alternatively, you could try these 8 natural cholesterol busters. Helps in brain development – Folate and folic acid present in oranges promote brain development and keep the vital organ in mint condition. In fact, these nutrients also make orange a healthy fruit for pregnant woman as it prevents the baby from having neurological disorders later. So the orange fruit benefits during pregnancy are very important. Prevents cancer – Having cancer can be a tough and harrowing experience for both the patient and the caregiver. Research has shown that a compound called D – limonene present in oranges can prevent various types of cancer like lung cancer, breast cancer, skin cancer, etc. Additionally, the antioxidants and Vitamin C help promote the body’s immunity which helps in fighting cancer cells. Here are some food habits to keep cancer at bay. Keeps you free from stomach ulcers – Oranges are a very good source of fiber which helps keep your stomach and intestines healthy. Diet rich in fiber will ensure that you are not affected with ailments like stomach ulcers and constipation. Protects your vision – Oranges also contain very good levels of vitamin A, and other flavonoid antioxidants such as alpha and beta-carotenes, beta-cryptoxanthin, zea-xanthin and lutein. These compounds are known to have antioxidant properties. Vitamin A is also required for maintaining healthy mucus membranes and skin and is essential for vision. Consumption of natural fruits rich in flavonoids helps the body to protect from lung and oral cavity cancers. Great for diabetics – People who have diabetes are unable to absorb glucose since the beta-cells present in their pancreas either fail to produce insulin or the body’s cells are unable to respond to the insulin produced. Oranges are high in fiber and have a high glycaemic index which makes it a good food option for diabetics. Also worth mentioning is that good oranges have a sweet taste, and since diabetics aren’t allowed to eat sweets or other sugary foods, they can eat oranges to tingle their taste buds. Prevents hair loss – Orange has high Vitamin C content which is required for producing collagen which, in turn, is responsible for keeping the tissues in your hair together. Nobody likes bald patches on their head, and eating oranges can ensure that you do not have to part with your lovely hair as you grow older. Orange as well as other citrus fruits, is an excellent source of vitamin C (providing about 60 percent of the recommended daily dose). Vitamin C is a powerful antioxidant. Consuming foods rich in vitamin C helps the body to develop resistance to infectious agents, and also collects the harmful, inflammatory free radicals from the blood. Oranges are rich in various nutrients. It is low calorie fruit, does not contain saturated fats or cholesterol, but it is rich with fiber and pectin, which are extremely useful for people with obesity. Pectin serves as a natural laxative and thus helps in the prevention of the lining of the colon by reducing the time of exposure to toxic substances, as well as bonding with carcinogenic substances in the colon. Pectin also lowers the level of cholesterol in the blood by reducing the reabsorption of bile acids in the colon. Oranges are a good source of vitamin B group, such as thiamine, pyridoxine and folate. These vitamins are essential in the sense that the body must get them from external sources to supplement the supplies. Oranges contain several types of phytochemicals. Hesperetin and naringenin are flavonoids that are found in citrus fruits. Naringenin has bioactive effects on human health as antioxidant. It is convener of free radicals, has anti-inflammatory properties and serves as a modulator of the systemic immune system. In numerous studies was shown that this substance reduces the injuries incurred as a result of oxidation of DNA in cells. Orange peel serves as a stimulant to the nervous system, as an asset for stimulating intestinal cleaning, reducing temperature and against intestinal parasites. Oranges also contain a small amount of vitamin A, and other flavonoid antioxidants, such as beta-carotene, beta-cryptoxanthin, zeaxanthin and lutein. It appears that all these compounds have antioxidant properties. Vitamin A is also required to maintain the health of skin and mucous membrane and is crucial for good vision. Consuming the fruit naturally rich with flavonoids helps the body to protect from lung cancer and cancer of the oral cavity. Oranges contain healthy amounts of minerals, such as potassium and calcium. Potassium is an important component of cell and body fluids and helps in the regulation of the blood and the heart function. Citrus fruits, as such, has long been considered extremely valuable because of their expressed nutritious and antioxidant properties. It is scientifically proven that citrus fruit, especially oranges, because of the abundance of vitamins and minerals, have a positive impact on the health. First off, Thanks for your valuable post here. Really health benefits of oranges are enough to keep many problems away. Most of the health benefits of oranges are due to its high vitamin C content. I highly appreciate your others benefits of oranges that you include in here.